Suspended ceilings (also known as false or dropped) first came into use since in 14th century Japan. Their use was purely on an aesthetic basis. 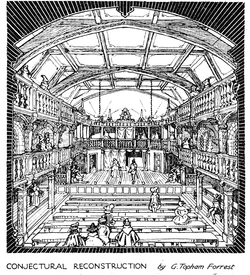 The western world’s first use of suspended ceilings is known to be at the Blackfriars Theatre in 1596. Their use was an acoustically inclined one. After that– we would continue and discuss how suspended ceilings went through a succession of patents in 20th century America, which limited its use, as that fascinates us. However, we’re acutely aware that doesn’t fascinate you. If that does fascinate you, give us a call. We’re Exeter builders, we’re fascinated, and we’re ready to talk. 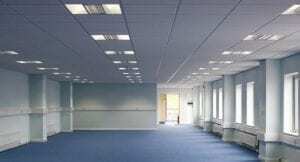 For the non-fascinated, we’ll get to the present and why suspended ceilings can benefit you. Suspended ceilings aren’t just an affordable option for hiding pipes and fixtures, they’re a stylistic choice. They can completely transform a room, enhancing the design and overall ambience. It’s due to this they aren’t polarising whatsoever; you’ll find suspended ceilings in a new £120 million office building in the business district of London as well as finding them in your local social club that houses three men a night. This perhaps is because, as a choice for a room, it’s very diverse as to what you can do with them. they are utilised because they’re obtainable. This is just another reason that they’re so ubiquitous. Rather than entirely renovating or building your ceiling, which is an arduous and expensive task, suspended ceilings are an economically healthy alternative. All you need to do is pay for the tiles and the installation. You will also save money on the heating bill – reducing the ceiling height lessens the amount of airspace which needs to be warmed, thus minimising your fuel costs. With traditional ceilings, if there’s a problem beneath, it can cause chaos, due to having to destroy the ceiling to discover the issue. Dropped ceilings are easy to install and easily removed, therefore allowing you to get straight to the problem. Their convenience doesn’t end there, either; they’re also very handy for getting lights installed. 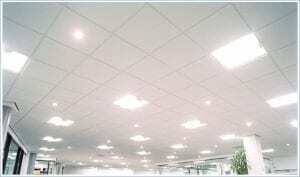 As shown below, suspended ceilings convey lighting in an incredibly attractive way. If you get your suspended ceilings installed with fibreglass, they can soundproof the room! Noisy neighbours, or just noisy yourself? 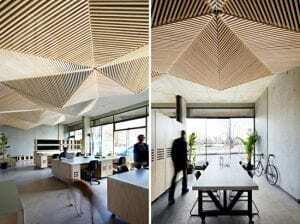 No fear, suspended ceilings are here. This is also great for offices if you don’t want your workers to be distracted by close-by ruckus. As Exeter builders, our recommendations for suspended ceilings bear no end. Cheaper, stylish, and convenient: why wouldn’t every room in the world have them? Your questioning makes sense, and is easily answered. Whilst very effective, they can take up a lot of room space. They also may require more maintenance, as after a few years – depending on your choice of materials – they can begin to sag. In the event of a fire, suspended ceilings are more prone than traditional ceilings. If this article has made you want a suspended ceiling, or perhaps simply piqued your curiosity, please get in contact with us, or give us a call on 01392 460 783. We are full-service builders in Exeter, specialising in quality renovation, maintenance, landscaping and of course, suspended ceiling installation.